If you’re going to name a pair of headphones Crusher then you’d better be prepared to make sure they do some crushing. 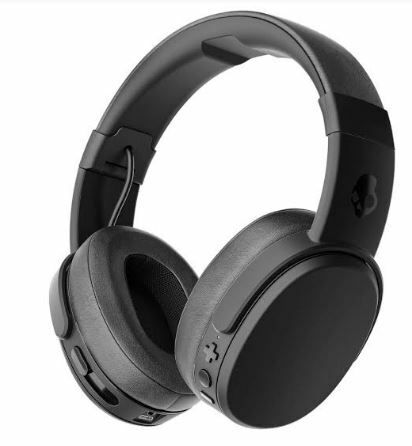 Luckily the new Skullcandy Crusher wireless headphones deliver. Offering up both skull-shaking bass and quality overall sound the Crushers guarantee that whatever you’re listening to it’ll be a satisfying experience. The Crusher headphones are a comfortable wear and offer enough adjustment that they should fit easily on anyone’s head. Intuitive controls placed on the back of each headphone allow for easy volume control as well as Bluetooth connection and call answering. For those that prefer wired connections or don’t have Bluetooth there’s also a jack cable provided. But the real feature of the Crusher headphones is its bass slider. The dual-channel haptic bass offered by these powerful headphones makes even the subtlest dance music sound like a boiler room set in between your ears. It can be overpowering if you’re not used experiencing what amplified bass sounds and feels. Music from the likes of drum ‘n’ bass aficionados Pendulum or the reggae-inspired dance of Major Lazer will at least have both ears vibrating or at most all of the sinuses. There was one point where I could feel the bass though my nose. If there’s not enough change in the level of bass in a song then the power of the Crushers can often feel literally one-note. If however listeners are keen on their bass oriented music then these headphones will continue to deliver regardless of how often they are used. Those more inclined to hearing every part of a song – the vibrations can often obscure lyrics – would be better suited to setting the bass slider to absolute zero and enjoying the quality sound provided by the Crushers regardless of its bass settings. With 40 hours of battery life and exceptionally quick charging – ten minutes charging gives three hours listening time – the Crusher headphones excel at long distance. They are ideal for long-haul journeys such as plane, train and automobile rides as well as being handy for those with longer-than-average commutes. They also offer decent noise isolation so that no one can tell that your inner ear sounds like a tunnel during an earthquake, a musical earthquake. The Crusher headphones may not be for everyone but their sound quality can’t be argued with mainly because I can’t hear a thing when I have them on but also because every guitar and drumbeat sounds just as heavy or light as it needs to be. Although pricey at €169.99 they are a worthy buy for any music and/or bass junkie.